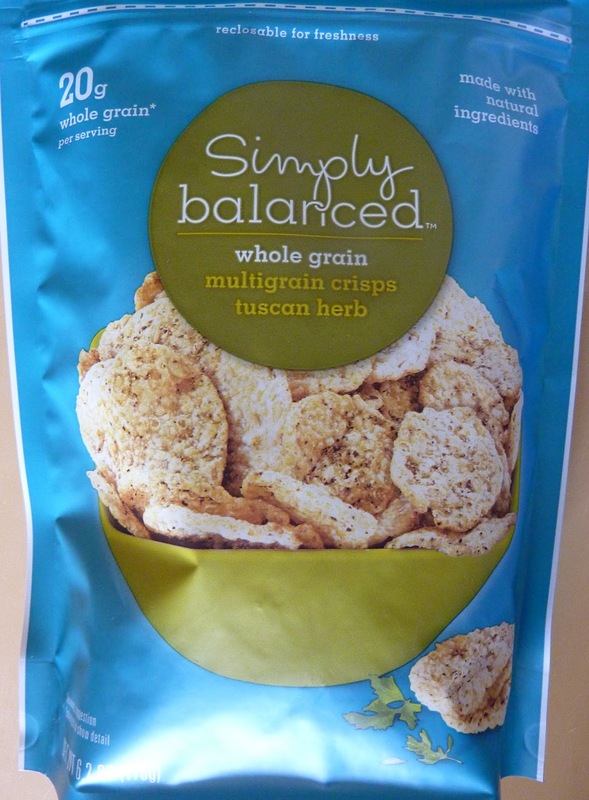 Akin to other whole grain snacks like Multigrain Wheat Thins, these Tuscan herb-flavored crisps are head and shoulders above the recently reviewed Sun-Dried Tomato Popcorn Chips. These crisps are firmer, they have more flavor, and they're more filling, yet the nutrition information of both products is virtually identical. Just a week or so ago, my wife discovered a delicious Tuscan-themed snack in the vending machine in our building. The same chips popped up at our local grocery store, too. The brand was Good Natured, and we both fell in love with them quickly. But I've gotta say these Simply Balanced crisps give the Good Natured brand a run for its money. They're full of crunchy whole grains, and as I mentioned before, they're much more flavorful than popcorn chips. There's even a little heat from the Italian spices. It's certainly not enough to "burn" your mouth, but it does give the product an unexpected kick. I haven't tried it yet, but I'm guessing these chips would go great with virtually any cheese dip or salsa, and I can also see them going well with salads and soups. I could absolutely feature myself buying these on a regular basis. In my opinion, chips don't get much more impressive than this. I give this product 9 out of 10 stars.